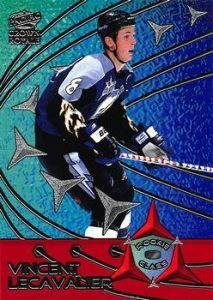 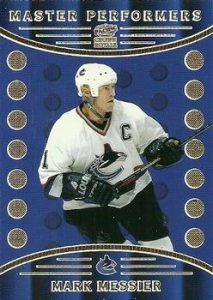 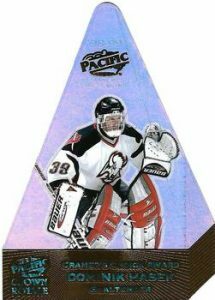 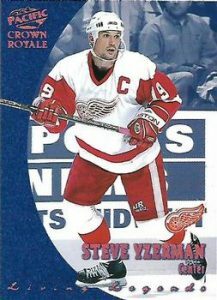 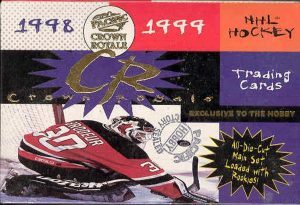 Ninja Update: 1998-99 Pacific Crown Royale - Hockey Card Checklist	Overall rating:	3	out of 5 based on 1	reviews. 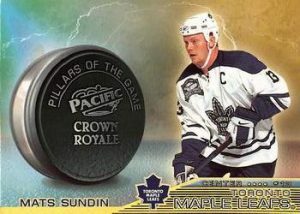 1998-99 Pacific Crown Royale is an example of the standard Pacific product. 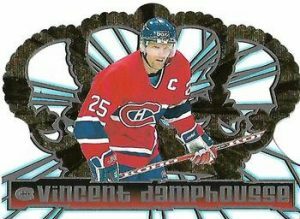 It offers no memorabilia or autograph hits, but does have some nice insert sets that appeal to set builders. 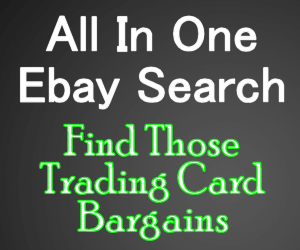 Each box also offers one Jumbo Cramer’s Choice cards, which are also available in serial numbered parallels. 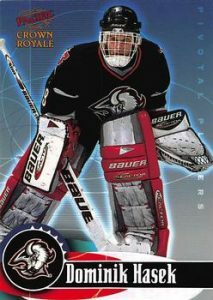 While this is clearly not a big money product, it still holds the attention of its fans.